In each new part of the Grand Theft Auto game clothes occupies a special place in the overall perception of the game. 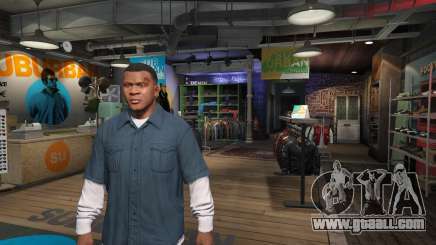 In fifth part of the game you can find dozens of stores with clothes and accessories, any character are able to purchase them. Most part of clothes is available from the beginning of the game and unique accessories opens in the process of the game. A lot of gamers are interested in question how is it possible to take off pants from the character, but we have to upset them, because the game does not provide an opportunity to remove them from your character. You can do it with other character, precisely with prostitute. In each part of the GTA game you can meet them at late time of the day. You can do it in your own automobile. A lot of gamers remembered this scene and they become interested, how you can bare the character completely. There is only one variant, how you can do it – you just need to install modification, that allows to take off pants from the character. If you wish, you can find it on thematic sites of the GTA 5 game.